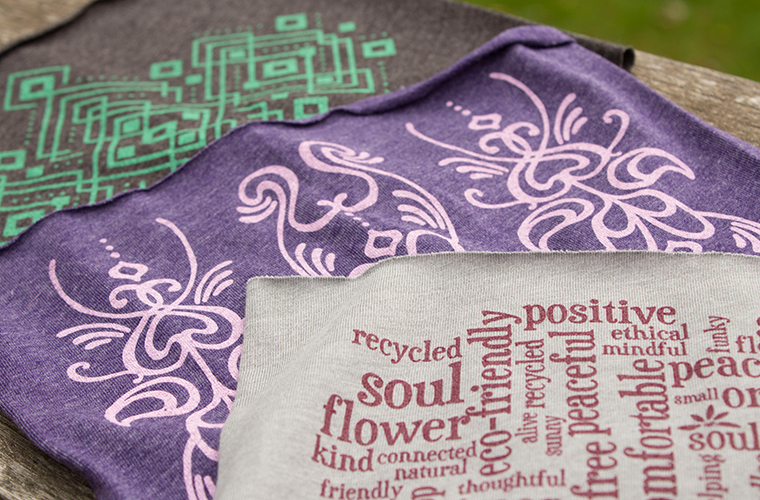 For Soul Flower Brand clothing, we only use recycled plastic bottle polyester when we use polyester. 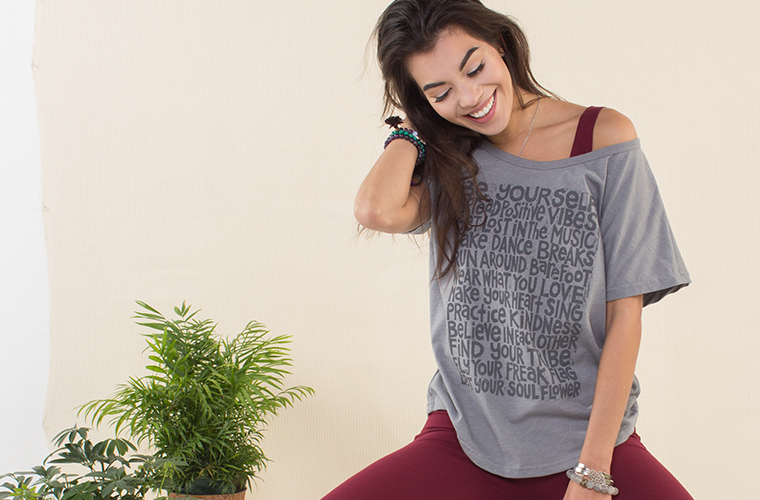 And it’s blended with organic cotton for extra softness and comfort. 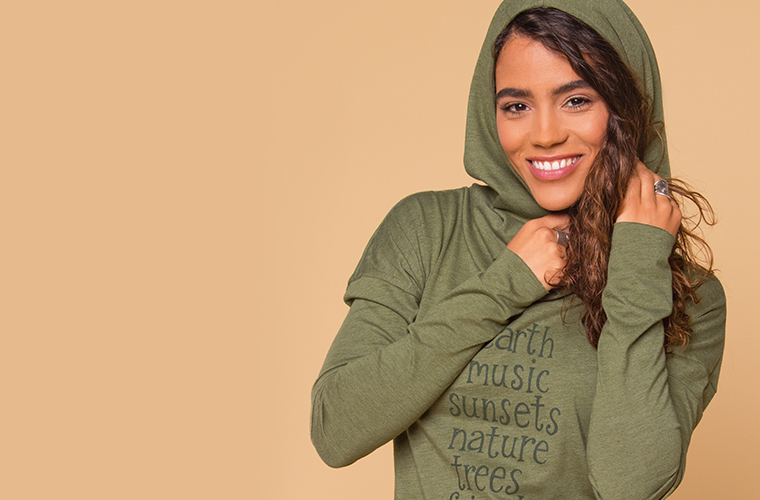 Taking a material like organic cotton and blending it with recycled polyester results in a garment with higher durability, more crease resistance, better drape, and faster drying time. 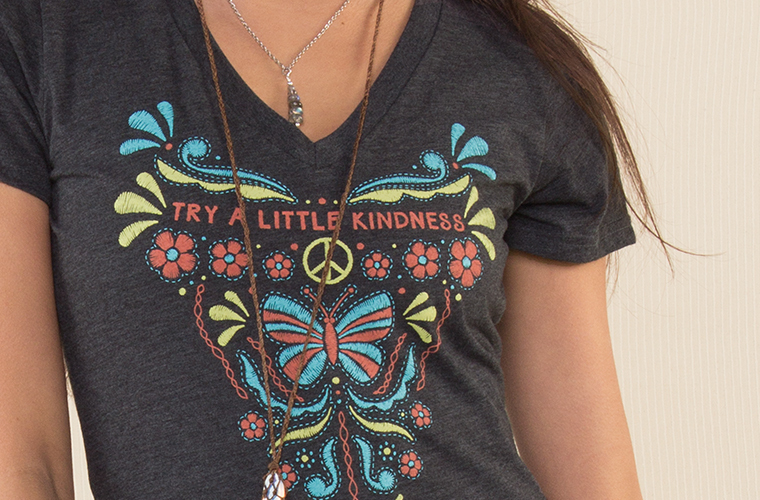 The two fibers also absorb dye differently, resulting in the iconic “heather” look we love! Around the world, 1 million plastic bottles are bought every minute. While most bottles go straight to a landfill, it’s possible to recycle them into textiles and other products. Demand for polyester fabrics made from recycled plastic creates a market for recycled bottles, which helps save more of them from a fate of 400+ years decomposing in a landfill. Recycling “waste” plastics (rather than drawing on more natural petroleum) saves 75% of the energy, 40% of the CO2, and 90% of the water required for production. 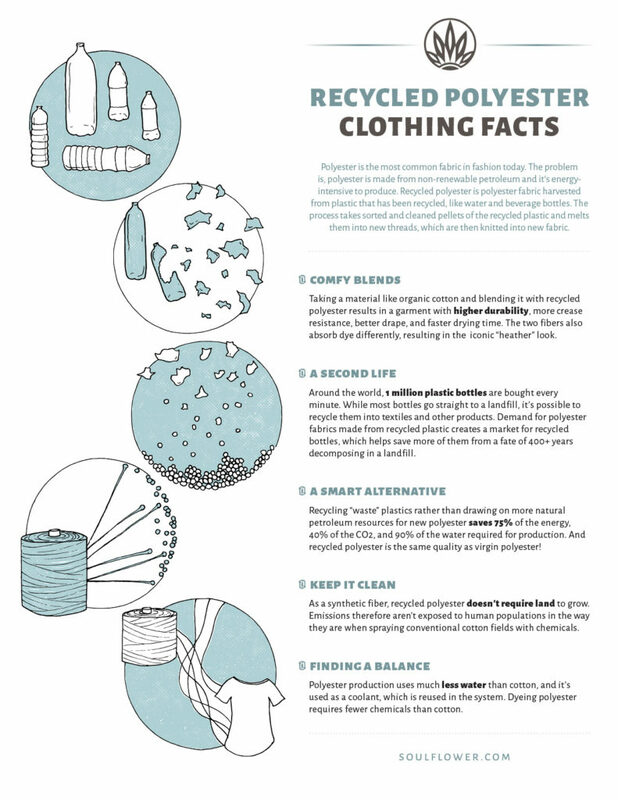 And recycled polyester is the same quality as virgin polyester! 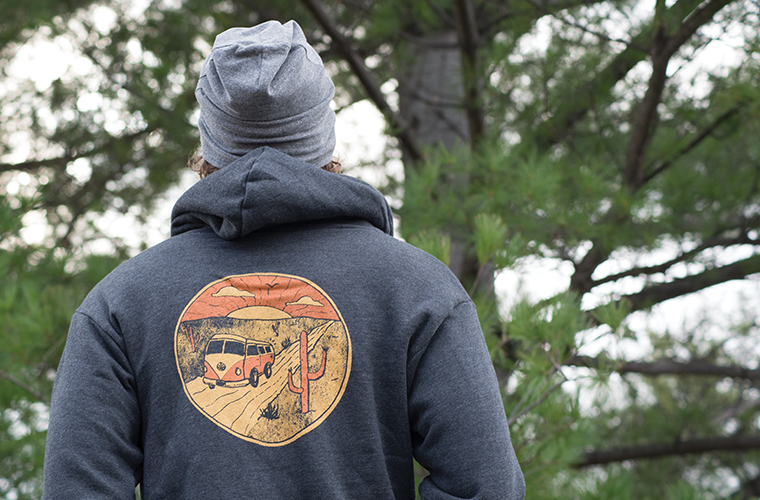 As a synthetic fiber, recycled polyester doesn’t require land to grow. Emissions therefore aren’t exposed to human populations in the way they are when spraying conventional cotton fields with chemicals. Polyester production uses much less water than cotton, and it’s used as a coolant, which is reused in the system. 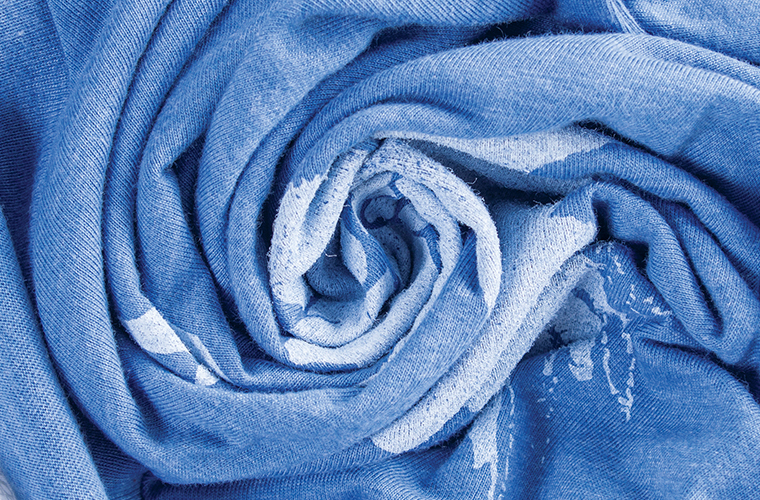 Dyeing polyester requires fewer chemicals than cotton.